Receiving the awards in behalf of the company were (from L-R) Mr. Christian V. Mathay, AVP for Operations, SM Supermalls; Ms. Anna Maria S. Garcia, President, SM Supermalls; Arch. Fides G. Hsu, Vice-President of Engineering, Design & Development (EDD) Design; Mr. Timothy Albert Go, Regional Manager of EDD Design; and Mr. Luis Enrique T. Manosing, CEO of Metro Development Management, Inc. The Mega Fashion Hall of SM Megamall led the SM Group for excellence in the shopping and retail industry, bagging two key awards during the 2015 Philippine Property Awards held recently at Fairmont Hotel in Makati City. The global lifestyle hub received the Best Retail Development and Best Retail Architectural Design awards, with SM Prime Holdings getting the top honor as the Best Developer Award. Launched only in January last year, the SM Mega Fashion Hall brought to the Philippines imported brands from all over the globe, housing them in a sleek and modern building to complete a world-class shopping experience. The five-storey shopping center boasts of a wide selection global brands that found its way to Philippine shores. SM Group affiliates likewise garnered several commendations that include Best Landscape Architectural Design and Best Affordable Condo Development for Metro Manila for SMDC; and Best Office Development, Best Architectural Design, and Best Commercial Development for BDO. 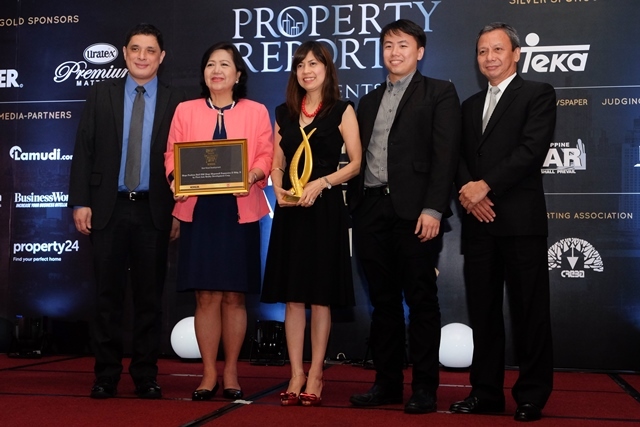 The Philippine Property Awards is part of the Asia Property Awards series, which recognizes the best of Asia’s real estate, and has become a respected standard in the industry.